Autoren: Natasha Bordiglia, Tatjana Fell, Susanne Hauser, Gye-Joong Kim, Shaheen Merali, Miya Yoshida. Erika Matsunamis works comprise a spectrum of both themes and media that spans from sculpture and photography by way of video and performance art all the way to mixed-media installations. Among these works, one of the most prominent is the serial project ?still/silent? that is documented here for theperiod from 2007 through 2010. 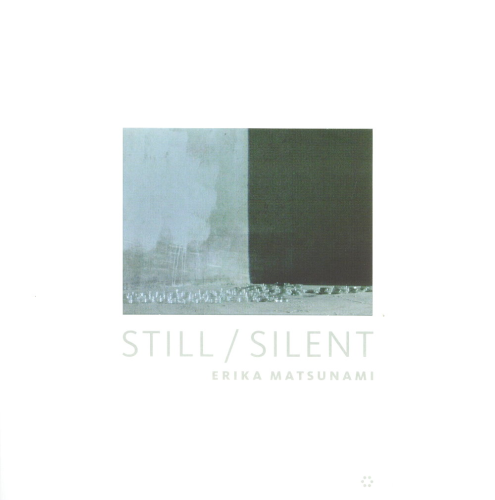 Initially arising from her collaboration with the composer and pianistAntonis Anissegos, ?still/silent? was realized multiple times since 2007 and was then refined anddeveloped in collaboration with the composer and bassist Chris Dahlgren and the sound engineer NiklasSchmincke. The original idea for ?still/silent?, however, was conceived in Hiroshima, the city that fellvictim to the first atomic bomb attack in 1945 and Matsunamis city of birth: between collectiveremembrance and individual recollection, ?still/silent? connects the question of identity with a dialectic ofconcept and variation. By structurally inscribing her work with a re-contextualization of space-times and media, she has it referand point to the potentiality of the identity creating function of remembering. The spatial transfer that isprogrammatically expressed in the choice of diverging venues of performance, thus intuitively becomesthe transformation in the sense of the experiment in medium and memory. Its open structure therebymakes ?still/silent? perceptible as prospective artistic practice that works with the motive of silence andthe possibility of peace. The catalogue presents the project by means of photographs and video-stills in different phases of itsdevelopment and provides insights into the artistic methods of Matsunami and her collaboratorsAnissegos, Dahlgren and Schmincke. Additionally, ?still/silent? is theoretically discussed in conversationsbetween the participating artists on the different aspects of their respective work and in the interviewsMatsunami herself conducted with the curators Shaheen Merali and Tatjana Fell which fathom the socialdimension of artistic mediation in particular. Finally, Dr Miya Yoshida, Prof. Dr Susanne Hauser, NatashaBordiglia and Prof. Gye-Joong Kim in their respective essays explore the aspects of cultural difference andits possible balance in art.